New Original Series Professional Organizers Will Love! 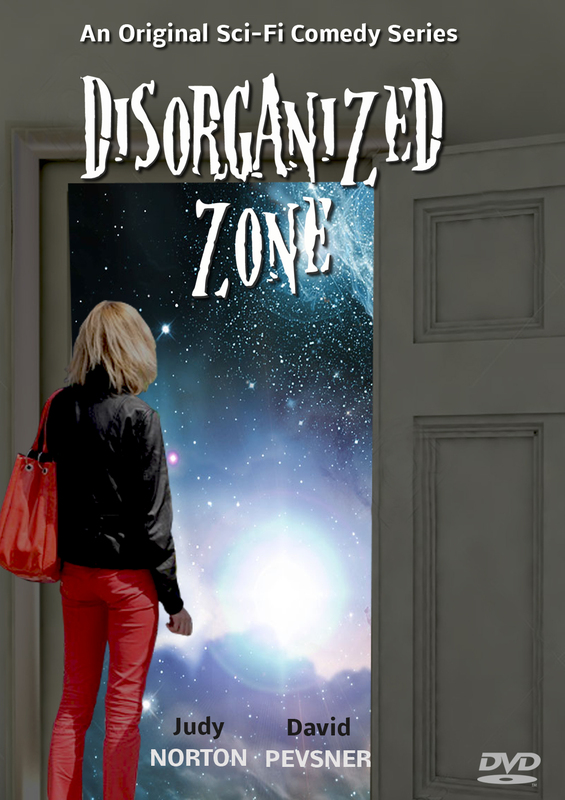 As the Training Director of the Professional Organizer Academy, I’m proud to announce my new Original Sci-fi Comedy Series called “DISORGANIZED ZONE” starring Judy Norton (as The Organizer) and David Pevsner (as The Host). It is airing on the Canadian network Vulcan TV (vTV) and streaming on the vTV website – http://vulcantv.ca – as a Video On Demand (VOD). Produced, written and directed by myself and Judy Norton, the series presents stand-alone stories that’s a parody of The Twilight Zone. And each episode is a story that professional organizers (and other people) will most likely relate with! 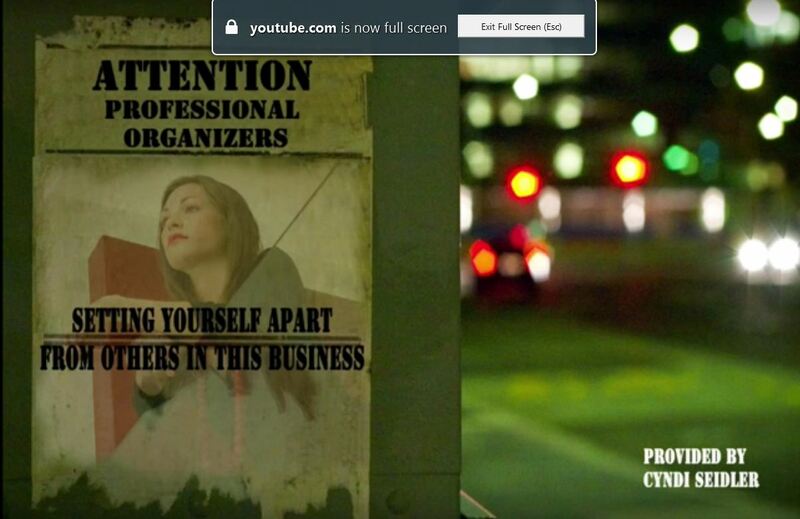 A Webinar delivered by The Organizing Lady Cyndi Seidler for Profitable Organizer was recently posted on YouTube for viewing. It’s a great continued education Webinar for any professional organizer. Cyndi talks about finding your “uniqueness”, becoming more than you are now, how to stand out in the crowd, expanding your horizons as an organizing expert and how to reach out far and wide to gain attention and get known in this industry. Please leave a comment and let us know what you think and anything else you would like to add to this! This video is another type of training video, although it wasn’t filmed as one. However it does show you the process of organizing a kitchen with a client that will give you an idea how fun it all is! It’s not often a professional organizer gets a real client to go on camera during an organizing project, but Cyndi Seidler managed to do just that in this ORGANIZING STUFF segment of Organizing Home Office Papers! You’ll also see how much fun it can be working with a client in helping them get organized. The best thing a professional organizer can do is to make the process fun and enjoyable, and this video shows you how you can make that happen. Subscribe to the Cyndi Seidler Channel and stay tuned for more organizing tip videos! 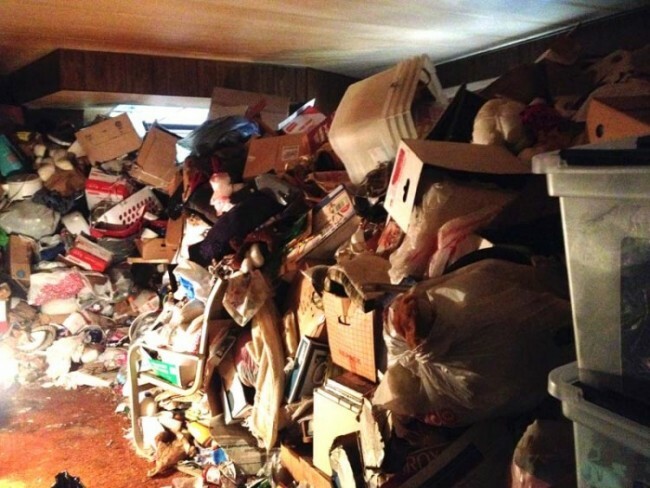 In my interview with Matt Paxton, extreme clutter expert and star of Lifetime Channel’s show “Hoarders: Family Secrets“, is a very revealing “behind the scenes” in the life of hoarders. The story was originally posted by me in The Organizing Lady blog but I wanted share with you here and post the video part of it here. Please Note: This interview was for an article and it wasn’t intended to be a “video interview” initially, so my attention was more on him than where I was pointing my camera! “I had never organized a space for someone else, only my things. So I decided to go online to find some guidance on how I could do that. I knew some things, but I needed to become more experienced. I came across this course and I was so happy I found it. This course has taught me the “behind the scenes” part of being a professional organizer. How to work with clients and the things you need to ask them. For organizers, some things can be really obvious, but for other people it might not be and that is what you have to guide them. 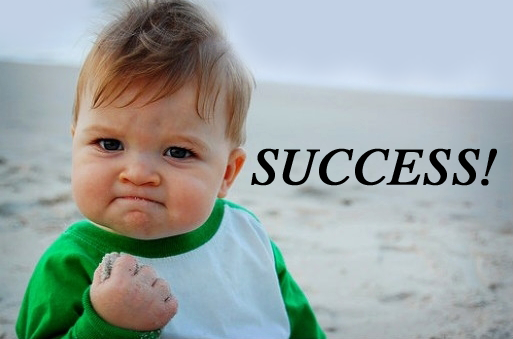 This course has given me all the tools I need to open my PO business and how to become a good one. I learned it is not only about the physical organization, it is also about the mental organization and how one affects the other. If you mind is cleared and organized, then it is easier to make your surroundings organized as well and it is also easier to keep it that way. And that, I think, is what it is more important to make clients understand. I can organize a space a million times, but if the client doesn’t know why, then it will continue to get disorganized. I never know what is going to prompt me to write about a particular subject matter but the topic comes up frequently among my academy students before they take the Course For Professional Organizers – saying they have been dabbling in the business of organizing at work, or with friends and family and now want to get start a career doing what they love doing. A professional is engaged in a specified activity as one’s main paid occupation rather than as a pastime. So a profession, or career, takes on more meaning when that career is one that involves being a professional. I would also say that all people who work at a job are professionals, no matter what it is. But to me, if one doesn’t comply with #3 and #4 in my list above, they are NOT being a professional in the full sense of its definition (its meaning). 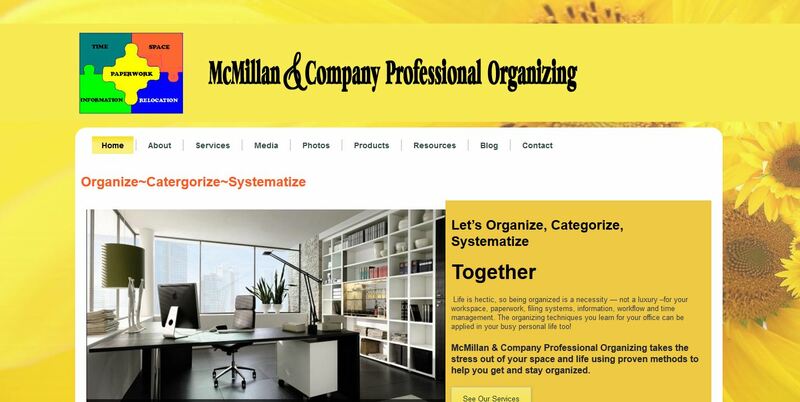 As a professional organizer then, it is very important that we behave as a professional under all circumstances. This is especially important to us because we deal with a variety of people and not all of them are in a good mental state. Aside from our skill sets, it takes a lot of patience and understanding when it comes to dealing with other people’s severe organization issues. We are in the business of help. It’s a great service and we truly make a difference in people’s lives when we act as a professional, adhering to everything that goes along with being such. Well, I think I’ve made my point and there’s no need to elaborate more that I already have! It is sometimes asked of me when a new student wants to enroll, “Do you think I should do the apprenticeship?” My answer is always the same, so I wanted to explain what I tell people. Depending on the person, their background and skill set, I will often propose they do the apprenticeship if they don’t have the confidence, skills or experience to get started. And yes, while the course develops some confidence and skills, it does not provide the advice, guidance and mentorship that this apprenticeship offers during their first year in business. Encountering a difficult or challenging client is a perfect example when advice and guidance is needed by course graduate students. This may not happen right away, but it may come up within the first 3 months or even 6-11 months later. Without the experience that a veteran organizer has in dealing with any type of client, the new professional organizer without a support system is alone in dealing with their client. Apprentices learn a great deal during the course of their first year in business through the apprenticeship guidance provided to them. It’s there when you need it and there when you don’t need it. Simple as that. If your answer is “yes” than the apprenticeship is for you. Think of a website as a brochure with a digital portfolio in it. It fundamentally tells people about you, it lists your services, and it provides a way to contact you. My photo on homepage. First of all, besides an appealing website design, my site had a picture of me on the homepage. One client told me that they felt more connected to who I was the minute they came to my site. So this is obviously an important feature to some people looking for an organizer. Less Homepage clutter. My website was less cluttered with content on the homepage than others. While other sites had loads of content compared to mine, most people don’t want to read through everything – they just want to know who you are and what you can do for them. An appealing professional looking web design. Needless to say, a website that looks out-dated (with a web design from the 90’s or something) will tell people you aren’t business savvy enough to keep your site looking good. Having a mobile friendly website that can be viewed from any size device. It is the year 2015 folks and people are using their mobile devices to access information on the Internet, so a website had better be mobile-friendly. Otherwise people will not be able to read your site easily on their mobile devices, if it could be read at all. Large quality images on the site. The days of small images scattered on a website are gone. Best Web design elements today call for large imagery, especially on the Homepage in the top header area. Image sliders are a a popular choice in the presentation of a site and are now used often in web design. Present yourself as an authority in the field. Since a Website is essentially your presentation brochure to potential clients, you will want to make yourself unique, or stand out from others in some way. There are several ways to position yourself as an authority and one way is writing articles about organizing (like in a Blog on your site). There were other elements, but not as important as these. Everyone else seemed to have a social media presence and post “before-after” photos and contain client testimonials, so these were not unique to what I had on my site. I personally design my own sites (including this one) and even developed a business doing web design – Seidler Designs – out of the need from others coming to me to design sites for them. 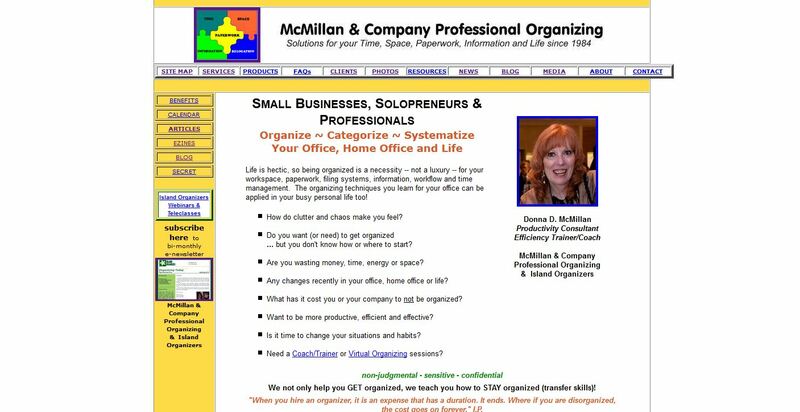 I also had decided to offer this service to fellow professional organizers as well at a very reduced fee ($450 for a 5-page website). The other day I went to give a consultation to a lady who had recently suffered a stroke that wanted to get her place organized. She claimed her home had fallen into disarray following her stroke and from the accumulation of her mother’s belongings after she passed a couple years prior. The “disarray” this person claimed to have seemed like an ordinary task for a professional organizer. Wrong. The “disarray” I found upon entering her 2 bedroom mobile home was mountains of junk stock-piled in large heaps up to the ceiling. There was a narrow walkway leading all the way from the back door entryway where I came in through the living room into her bedroom. 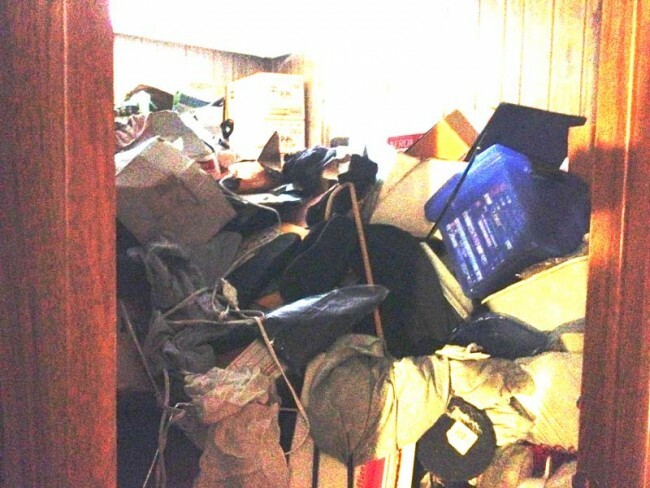 The destination into her bedroom showed mounds of junk surrounding her bed, with only a clear path in front of her bed where her TV was situated. The word for this type of person is called a Hoarder. I’m sure you’ve heard of them. Hoarders do not have “clutter” for us to deal with – they have mental issues for us to deal with because, as much as they may want to be helped, they don’t really want to get rid of stuff. It all has “value” to them in some way. I believe our profession isn’t equipped to help Hoarders. If they were to agree to a “clean sweep” of their stuff using a crew to toss 95% of everything in the junk piles, they couldn’t (or wouldn’t) agree to it. Yet, that’s exactly what is needed. In the case with the stroke victim, she only called me to help her go through the piles item by item – one by one – to determine what she wants to keep and what she will get rid of. Even if she could afford the hundreds of hours it would take to do this, the health risks being in an environment like that would not be worth the amount of money you might end up with. The one time I did tackle work like this was on a reality TV show (I won’t mention which one) and I ended up yelling at the field producer and then refusing to return with my crew the next day unless they got an exterminator there. It wasn’t worth the pay I got and, although I was under contract, I knew they couldn’t hold me to it unless they met my demands. Now, don’t take me wrong here – I have empathy for Hoarders. I do care and I am concerned about their situation and I do want them to get help. It just isn’t the kind of help I can provide to them personally. I didn’t charge her for my consultation appointment. She wanted to pay me, but I refused her money. I knew she had already spent $1000 to 1-800-JUNK to come and clear a path for her after her stroke so that she could get around with her walker. And they didn’t haul anything away. See what I’m talking about? She paid $1000 and didn’t have them haul anything away! A career as a professional organizer has many rewards but working with certain types of clients will not leave you with those rewards unless the place is clear of clutter and organized. So, please know that you can refuse work if you feel you can’t help them, and if you know it will be a health risk to you.